Auckland, Monday 19 November 2018: Pioneers of digital claims fulfilment across the globe, Claim Central Consolidated (CCC), has appointed Jeff Pryde as its New Zealand country head, based in Auckland. This significant appointment will see Mr Pryde responsible for the overall leadership and management of CCC’s newly established New Zealand team, and work closely with clients and business partners to deepen relationships and ensure a solid foundation for growth. Mr Pryde has worked in the insurance industry both locally and globally for more than 34 years. He has a wealth of industry knowledge and experience in management roles, loss adjusting, catastrophe management (CAT) and client development. Most recently Mr Pryde was second-in-charge for Crawford New Zealand. During his eight-year tenure, he was responsible for CAT management for both the Christchurch and Kaikoura earthquakes and several other significant events, while maintaining business relationships and development opportunities within the New Zealand insurance market. 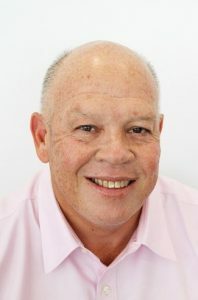 Claim Central’s Global Chief Executive Brian Siemsen said: “Jeff’s appointment brings an important mix of external experience to lead the New Zealand team, coupled with a deep understanding of loss adjusting and catastrophe management. Mr Pryde commenced his role 19 November 2018.